For the last three years or so, I've avoided reading any fiction set during the Crusades. This is because I didn't want OUTREMER to be unduly influenced by anyone else's stories. 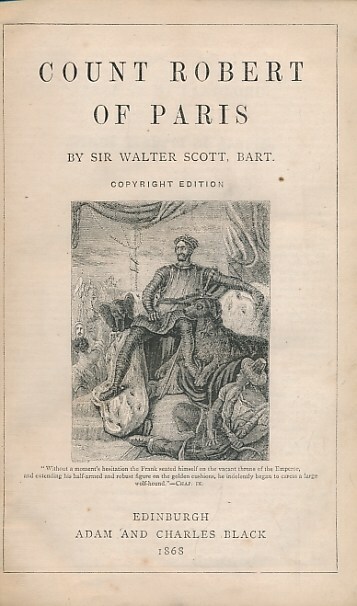 Now, however, with two drafts of A Wind From the Wilderness under my belt and this part of the story becoming a little firmer, I decided it was time to read a long-awaited novel set during the same time period: Sir Walter Scott's late work Count Robert of Paris, set in Constantinople during the First Crusade. Count Robert is history rather than fiction, a compilation from Gibbon and the Alexiad, and as prolix as Anna Comnena herself. The court of Byzantium in the eleventh century was not a subject with which Scott had any natural affinities, and he was too languid to reproduce the drama of the clash of West and East in the first Crusade. There are moments of vigour, like the fight with the tiger in the dungeon, but everywhere lassitude weights his pen. Another critic, Philip Hobsbaum, is said to have said, whether seriously or in jest, that “Everyone who has not read ‘Count Robert of Paris’ knows it to be unreadable.” As a result, I'm slightly at a loss to explain why I liked it so very much. Maybe my expectations were so low that they couldn't help being exceeded. Or maybe Walter Scott at his very worst is still able to ace a historical yarn. Not that the story is particularly well-grounded in history. There are howlers on every page. Scott depicts Christian medieval Constantinople as having minarets on every church (actually, the minarets were added by the Turks). Astonishingly, Bohemond of Taranto is said to have been made prince of Antioch by Alexius in 1097 (in fact Alexius probably planned to rule Antioch himself and Bohemond's claim to the city was highly controversial even among the other crusaders). And this isn't to even shake a stick at all the romantic orientalist trappings (like the imperial family riding around on elephants!) that are added in just to make the story seem more exotic. All in all, I have a hard time labelling this story as "historical fiction" rather than "fantasy", because it's pure imagination, a kind of historically-inspired pantomime. That said, this book definitely came with its own goofy charm. Yes, it's prolix, but then, Scott is always prolix. And the things I liked were huge fun. In Comnenid Byzantium, danger lurks behind every shadow, as you'd expect from a decadent city (yes, of course it was decadent, Edward Gibbon said so) full of cowardly, scheming and conniving Greeks (Gibbon again). An honest and upright Anglo-Saxon, exiled from his native Britain by the recent Norman conquest, and sadly parted from his long-lost love (there really ought to be a Walter Scott Tropes drinking game or bingo form or something), who now serves the Emperor Alexius as a member of his Varangian Guard (this is reasonably historically accurate), is drafted into a conspiracy to overthrow Alexius by his commanding officer, Achilles Tatius. Our Varangian, however, plans to remain loyal to the Emperor--but everyone's plots are upset by the sudden arrival of hordes of Franks on their way to liberate the Holy Sepulchre. The Emperor had stood somewhat disconcerted at the beginning of this speech, but hearing it so very unexpectedly terminate, as he was willing to suppose, much in his own favour, he threw himself into an attitude which was partly that of a modest person listening to his own praises, and partly that of a man highly struck with the commendations heaped upon him by a generous adversary. "Art thou a man," said Count Robert to his companion; "and canst thou advise me to remain still and hear this?" "I am one man," said the Anglo-Saxon; "you, sir, are another; but all our arithmetic will not make us more than two." Speaking of the Countess Brenhilda, she was also tremendous fun. Scott clearly discovered some of those bemused Byzantine historians who recorded some of the Frankish crusader noblewomen riding astride, dressed in armour, and has gamely attempted to write an action girl. I say attempted, because he doesn't seem to have ever done this before, unless you count the not at all heroic Helen MacGregor from Rob Roy, and because towards the end of the novel he more or less loses interest in Brenhilda. He can't restrain himself from making a number of disparaging comments about her, but he also allows her to be as proud and vivid a character as her husband. The couple that decapitates unmannerly barbarians together stays together, if Count Robert of Paris is any indication. Scott even winds up providing a sort of backhanded justification for women knowing about self-defence: kidnapped and stowed away in Alexius's darkest dungeon, worried that his wife may have fallen into the hands of the philandering Nicephorus Briennius, he sets his mind at rest by reminding himself that she's quite big and strong enough to take care of herself. With all respect and appreciation for Rebecca, Rowena, etc, which other Walter Scott hero can say the same? Bertha, the Varangian's long-lost love, is a more conventional Scott heroine, and it's interesting to note that she's depicted as discharging an important diplomatic mission with discretion and success. 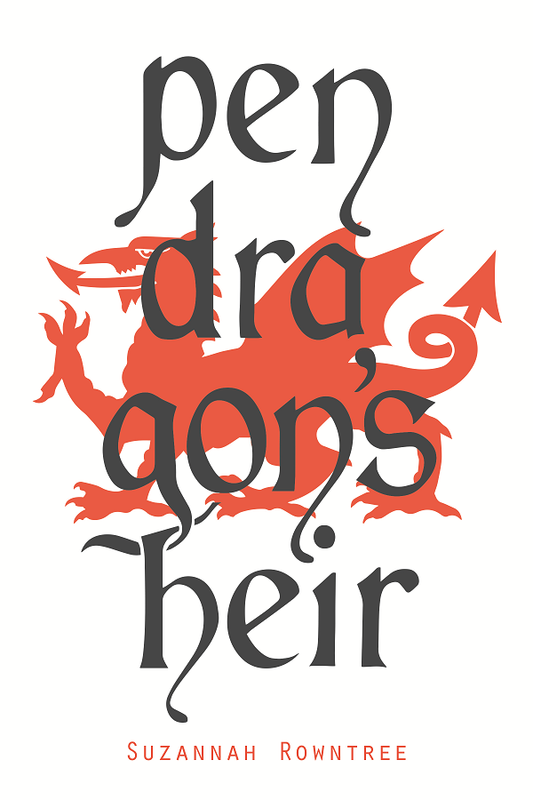 Anna Comnena (there are a lot of pivotal female characters in this book) is a more thorny proposition, however. Sure, the real Anna Comnena seems to have been somewhat conceited and emotional, but no more than normal for a high-ranking medieval - it was an age when titanic emotional displays were considered appropriate on all solemn occasions, and when everyone above the rank of a knight, much less a porphyrogenita of Byzantium, might feel justified in thinking highly of themselves. Edward Gibbon, however, snidely remarked that her history "betrays in every page the vanity of a female author" and Gibbon seems to be the one authority who counts: Scott's characterisation of Anna in this story is subtly and incessantly satirical. I don't happen to think that Anna Comnena was a good role model at all, even on the most charitable interpretation of her life (she indubitably tried to murder her brother at their father's funeral), but Scott was obviously following Gibbon and his Enlightenment rationalistic contempt for women as a group, not a legitimate assessment of Anna's qualities as a person and a historian. I hasten to add that I wasn't offended by the depiction of women in this book. In fact, I found the importance of the three female characters to the plot rather refreshing and enjoyable, and obviously Brenhilda (who challenges her would-be seducer to a duel instead of cowering) was lots of fun. Do I recommend Count Robert of Paris? Really, it depends. If you've read, and enjoyed, Ivanhoe and The Talisman, then this is another in the same vein. I thought it was immense fun. You can find Count Robert of Paris on Amazon, the Book Depository, and Project Gutenberg. 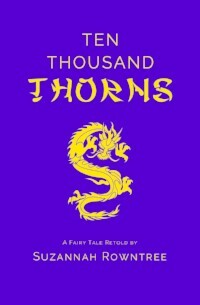 TEN THOUSAND THORNS is here!!! It's been a really warm week. I've been super busy with all sorts of projects, including making and decorating a number of Christmas cakes as gifts for friends. 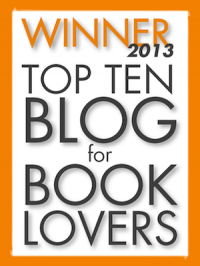 But it's time to stop and celebrate, because Ten Thousand Thorns is here! This story was inspired by Chinese wuxia films like Crouching Tiger, Hidden Dragon, Hero, and my personal favourite, Reign of Assassins. I got the idea after realising that in this fantasy world of martial arts and adventure, a Sleeping Beauty figure would be blessed with enlightenment rather than cursed with sleep! It's taken me more than a year to research, write, and edit this story. Partly this is because at 39,000 words, Ten Thousand Thorns is a little longer than my other novellas. But it's also because I had to do a lot of research! I read the classic wuxia novel The Legend of the White Haired Maiden, as well as other works by classic wuxia writers Gu Long and Jin Yong. Even after that, I was keen to make sure my story was reasonably accurate to its Chinese setting, so I called on a friend of a friend, Stephen Wei, to read and critique the story. Stephen wasn't able to give detailed feedback on the whole story, but his notes and a long Skype call during which he explained the foundations of Chinese ethics were very helpful! 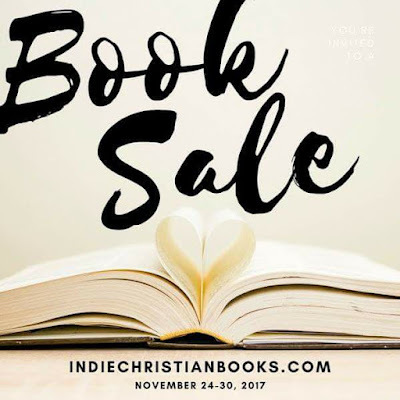 Have you checked out The Indie Christian Book Sale yet? It closes on November 30...my goodness! That's today! - Even my paperbacks are on sale (very rare! ), so you can get them cheap for Christmas gifts! 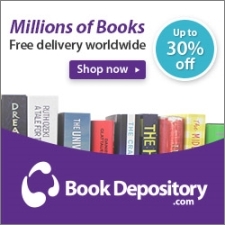 You can browse the sale at www.indiechristianbooks.com or skip straight to the Suzannah Rowntree books.